This perfect introduction to Poland will inspire cultural engagement. 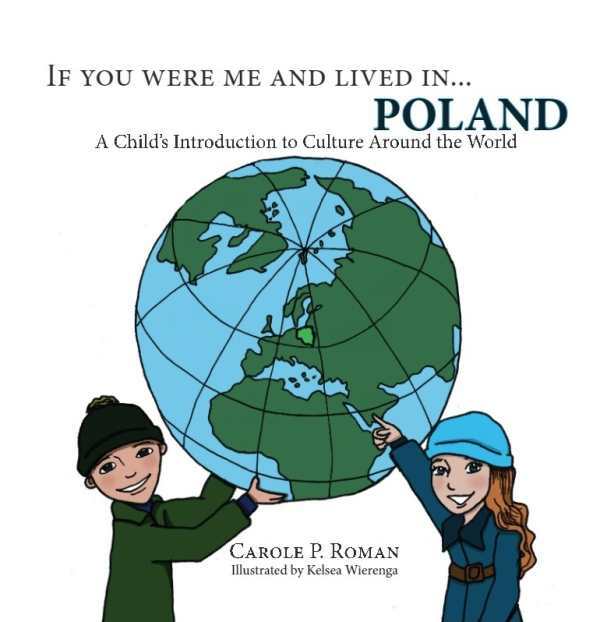 Carole P. Roman visits Poland in the latest of her delightful “armchair traveler” series, If You Were Me and Lived in… Poland. Roman’s picture book tour of Poland begins with some history of the country, then moves to a visit to Warsaw and the nearby Wielicza Salt Mine, with plenty of local food and culture explained along the way. The pronunciation guide common to all of Roman’s If You Were Me and Lived In… books is present—and much-needed, offering help with difficult Polish words like grzybki (gribp-kee), or mushrooms; pilka nozna (peu-ka noz-nah), which means football, or soccer; and kotkczo (kot-tek), or kittycat. Parents buy chocolates and gifts to honor this joyous day of recognition of children. Schools organize fun outdoor activities and it is a day of exciting things to do. It is the best day in the world for children! By placing young readers in a what-if scenario that casts them as children growing up in Poland, Roman instantly achieves a level of engagement that’s not common in books about other cultures. Roman’s writing is simple and clear, though there are a few minor grammatical and punctuation errors. Kelsea Wierenga’s illustrations are a masterful combination of detailed photographic backgrounds and kid-friendly hand drawings. If You Were Me and Lived in… Poland is a perfect introduction to Poland and its people and may inspire some of its readers to visit a Polish restaurant, culture center, or even the country itself.